The purpose of the project is to capitalize on tourism experiences in four areas of the NORA Region to promote geo-tourism in Norway, Iceland, Scotland and Canada through the Global Geoparks Network that is supported by UNESCO. 1) Testing and launch of the pilot booking system. 2) Implementation of the tourist offer through the booking system. 3) Northern Georoutes Mobile App. 4) Creation of a Northern Georoutes Travel Association. 5) Branding, marketing and communication actions. 6) Launch of the project products via EGN–GGN, Norske Park and Fjord Norway communication channels. 2) Innovative Geoparks-NORA tourism products. 3) Geopark online SmartGuide and TurfHunt. 1) Promotion of the NORA Region as the ‘destination of choice’ for a niche tourist market. 2) Support for local businesses in the NORA Region through coordinating activities. 3) Reduction in the cost to the tourist. 4) Increased recognition of the NORA tourist brand. The Magma Geopark team has long experience in project management and consists of: Director Pål Thjømøe (geologist), Heta Toivonen ( tourism expert and communication office responsible), Sara Gentilini (archaeologist and project manager), Elin Wood ( designer and responsible for Geopark products development), Åse Hestnes (guide and geologist). The Stonehammer Geopark team is comprised of: Gail Bremner (Executive Director) and Wanda Hughes (Program Coordinator). Partnerships with experience providers and founding members provide a variety of support to the organization including product delivery and interpretation. The Shetland Amenity Trust Geopark staff is composed by Paul Harvey (Natural Heritage Officer), Emma Miller (Marketing Officer), David Cooper (IT and Communications Officer), Rory Tallack (North Shetland Ranger),Howard Towll (South Shetland Ranger), Shona Fullerton (Admin. Manager), Beth Spence (Finance Manager), Alan Blain (Deputy Manager), Jimmy Moncrieff (General Manager). The Katla Geopark staff is composed by: Ragnhildur Sveinbjarnardóttir ( tourism specialist), Rannveig Ólafsdóttir (education specialist) Jóna Björk Jónsdóttir (educational specialist), Steingerður Hreinsdóttir (chief operation offices). 4) organizing events. Extensive experience in the field of tourism makes Magma a credible and strong project leader. Geopark Shetland is at the crossroads of the North Atlantic, lying as close to Norway and Faeroe as it is to mainland UK, giving it a unique heritage and culture and a stunning landscape. The Geopark incorporates all of Shetland’s more than one hundred islands and has been a member of the Global Geopark Network supported by UNESCO since 2009. It boasts a 3 billion year Earth heritage with rocks from every major geological period from the Precambrian to the Carboniferous, and has been on an incredible geological journey from close to the South Pole, across the Equator, to its current position at the crossroads of the North Atlantic. The climate and landscape have changed dramatically many times, and echoes of these past environments are literally set in stone. Who would have thought that this tiny windswept archipelago in the North Sea has played host to tropical seas, volcanoes, deserts, ice ages and ancient rivers? In the North Mainland you can see the best exposure of the Great Glen fault – one of Europe’s major tectonic features. The island of Unst, home to the Shetland ophiolite complex, is an ‘open-air museum of oceanic rocks’. At St Ninian’s Isle you can stroll across the largest, and perhaps most beautiful active sand tombolo in the UK, while the Eshaness volcano has been described as ‘the best section through the flank of a volcano in the British Isles’. Here too you can experience the awesome beauty of one of the highest energy coastlines in the world – blasted by the full force of the North Atlantic. Shetland was a part of Scandinavia until 1469 and much of this heritage is still evident today, in its place names, archaeology, music, folklore and dialect. The islands are rich in wildlife; over a million seabirds inhabit the cliffs, inland the hills and moorland host a variety of breeding birds, such as Red Throated Divers, waders and Skuas, and many rare migratory birds are also spotted. Offshore, whales, dolphins, seals and otters are regularly seen. Mid summer sees a riot of colour, with numerous wild flowers including species endemic to the isles. Geopark Shetland aims to protect, interpret and promote the natural and cultural heritage of the islands to the benefit of the people of Shetland and the Shetland Environment. It is managed by Shetland Amenity Trust – an independent conservation trust dedicated to the preservation of Shetland’s architectural heritage as well as the conservation and enhancement of Shetland’s natural beauty and amenity. The Trust also manages the acclaimed Shetland Museum and Archives in Lerwick, and Promote Shetland (the destination marketing organization for Shetland). The Geopark Shetland app for iPhone and Android introduces users to Geopark Shetland through Google maps populated with information about geological sites of interest. GPS triggering alerts users to key locations – a useful aid for people who want to explore Shetland’s fascinating geology for themselves and discover how it underpins the unique natural and cultural heritage of the islands. Sites can be searched by geological theme and the app also includes three walking trails. Available on iTunes and Google Play. Stonehammer Geopark is the first North American member of the Global Geoparks Network, an international organization assisted by UNESCO to respond to the need for an international framework to formally recognize and enhance the value of geological heritage. The overall goal of a Geopark is to integrate the preservation of significant examples of geological heritage within a strategy for regional sustainable socio-economic and cultural development, while safeguarding the environment. Stonehammer Geopark developed as a grassroots community-led project supported by partner organizations, corporate donors, local and provincial governments. The ultimate success of the Geopark, as acknowledged by the Global Geoparks Network, was the overwhelming broad based community support witnessed by the Global Geoparks Network /UNESCO evaluation team. Stonehammer Geopark incorporates more than 60 significant geological and fossil locales, including more than 12 publicly accessible sites. Stonehammer is a community-supported organization comprised of site owners, tourism operators, members of the community and other stakeholders. The geopark encompasses 2500 square kilometres and extends from Lepreau Falls to Norton and from the Fundy Trail to the Kingston Peninsula. With a landscape created by the collision of continents, the closing and opening of oceans, volcanoes, earth quakes, ice ages and climate change, the Stonehammer Geopark includes geological stories from the late precambrian time a billion years ago to the most recent Ice Age, and almost everything in between – a playground has been created in Southern New Brunswick! Katla Geopark (Katla) was formally established in November 2010 as a private non-profit institution. It resulted from a project led by the University Centre of South Iceland (UCSI) and later partly funded by the Growth Agreement Project for South Iceland. The UCSI chose the most eastern and most rural part of the area as a target area and decided to put much focus and resources into building on the foundations and strengths of the area. From the start all three municipalities participated in the project. Other partners include the Development Centre of South Iceland, University of Iceland´s Institute of Regional Research Centres, Skogar museum and the culture centres of Kirkjubaejarstofa and Kotlusetur. Katla became a full member of the EGN and GGN in September 2011.Due to the very recent establishment of Katla, UCSI will handle the financial responsibilities of Katla in the GEO2NOR project. All the 13 municipalities in South Iceland established UCSI in 2007. It has three main functions – improving access to tertiary education in the area, encouraging research activities in the areas, and acting as a catalyst for efforts to revitalise the local economy, especially in rural areas.Katla has been developing educational activities for many years, involving local communities. Within Katla Geopark you can find super jeep safari, snowmobiling, caving, ice climbing, glacier walks, bird watching and hiking tours with local guides. Katla Geopark is now working further on the brand ‘Katla Geopark’ a dynamic destination that reflects the landscape, geology, culture and heritage of the region along with the activities that can be found within the park. Katla Geopark is also working on tourism development in the shoulder seasons. TORA Traffic is a family business located in Tórshavn that provide tourist with excursions to Vágoy – Northern Islands – Vestmanna Bird Cliffs – Sornfelli & Tjørnuvík – Northern Eysturoy and Sandoy.Closeness to nature, tranquillity – these few words sum up the 18 small islands in the Atlantic Ocean that make up the Faroes.Visit the Faroes for a unique experience. Forget your preconceptions.Prepare for fresh air, untamed nature and hospitality.You will find steep mountains, amazing light and idyllic villages. Plenty of open spaces and warm and friendly people.Sámal Blahamar, Faroes since several generations, bring visitors to explore the fantastic uncontaminated islands and its cultural and geological heritage. 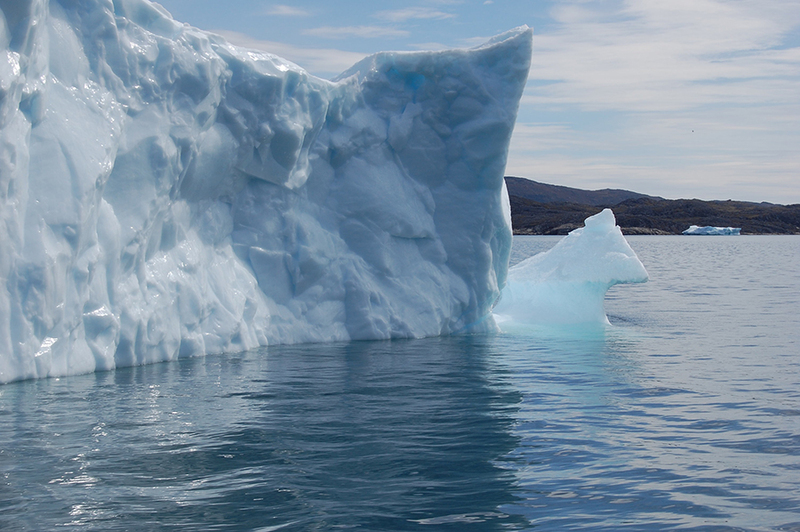 Blue Ice Explorer is a Greenlandic company with its base in Narsarsuaq, South Greenland. The director Jacky Simoud (original French) came to Greenland in 1976 with his friends on a sailing boat. They had planned to stay for a year in Greenland, but he was the one, who never returned! In 1996, he moved to South Greenland, where he made a living of sailing tourists with his charming boat Puttut. Since then, his company has grown step by step, to become the largest tour-operator in South Greenland; with passenger boats, day tours, accommodation and package tours. South Greenland is truly a land of contrast. The region has a wide range of landscapes, from the barren icecap to fertile valleys with arctic flowers and soaring mountain peaks. You can explore the ice by feet, boat or helicopter. You can follow the sheep tracks or hike through trackless wilderness, visit a sheep farm or one of the colorfully towns. The Viking Eric the Red named the country Greenland, when he arrived from Iceland more than 1000 years ago. His descendents lived as farmers in the area for the next 500 years. Today it is the descendents from the Inuit, who came from the north, who has adapted to the landscape and lives as farmers on the same fields.